One strand of research relates the magnitude of severe weather disasters to climatic and human development factors; another highlights dramatic growth in catastrophe losses. However, there have been few attempts to put the two strands together. Here we use an explicit modeling framework to determine the contribution of climate variability relative to human factors in reported catastrophe losses. We then examine how future climate change can be expected to affect losses from natural disasters. Simultaneous regression models are constructed from three equations in which the dependent variables are U.S. flood loss, U.S. hurricane loss and U.S. catastrophe loss. Then two kinds of simulation under two climate change scenarios explore how climate change would affect losses. 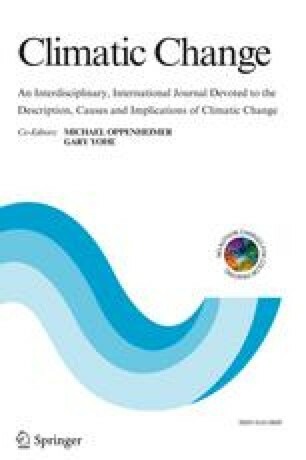 The climate change scenarios respectively project 13.5% and 21.5% increases in annual precipitation. The first simulation increases only the mean value of annual precipitation; the second simulation assumes that the mean and standard deviation of annual precipitation change in the same proportion. Results show that the growth in reported losses from weather-related natural disasters is due mainly to three socioeconomic factors: inflation, population growth and growth in per capita real wealth. However, weather variables such as precipitation and the number of hurricanes per period also clearly affect losses. The three stage least squares (3SLS) simultaneous equation model shows that a 1% increase in annual precipitation would enlarge catastrophe loss by as much as 2.8%. These findings are suggestive as planning signals to decision makers. 1.Department of Agricultural Economics and Rural Sociology, College of Agricultural SciencesThe Pennsylvania State UniversityUniversity ParkU.S.A.